Have two(2) HPI Micro RS4 for sale. One is an unassembled kit while the other one is a roller chassis. The specs are listed below for each one. 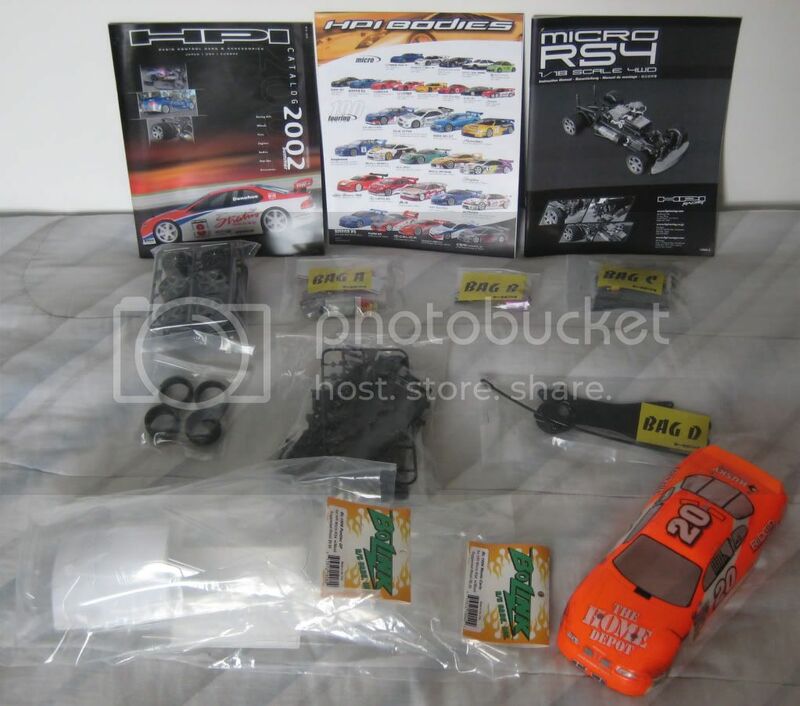 Got a HPI Micro RS4 new and unassembled for sale. Was going to use it for parts but I didn't end up using it so I'm letting go this new unassembled Micro RS4. Kit comes with everything required to assemble a car (all parts, manual, booklets). Does not come with the factory HPI body but I am including 2 brand new bodies and one used body. Comes with kit motor. Used stock HPI Micro RS4 roller with custom upper deck to stiffen chassis, and Hitec HS-81MG servo (Ball bearing and metal gear). Include rear foam tires and will have to see if I can find any fronts for it. Motor is included. Will include a 4 cells (2/3A) battery pack and a 6 cells (2/3A) GP 1000mAh battery pack. Bonus: Now include another pack of battery: 4 cells 2/3A GP 1000mAh batteries and 6 new loose cells of GP 750mAh 2/3A battery. Asking for SOLD! for all the items listed above. includes motor for roller and price has been reduced!